16 Free Best Mp3 splitter and Joiner tools to split and merge Mp3 files: – If you have recently bought an MP3 player, you must be interested in digging further about how to split audio files or merge music files. Getting a new MP3 player is sure some excitement, however, we are left scratching our head when we think of blending a song list or sound tracks into one single file. Not just that, you may also want to edit the sound files or song tracks in way where there are special effects and they don’t stop awkwardly, but continue playing uninterrupted. Whether for fun, any professional requirement or for any personal reasons you definitely need a satisfying MP3 joiner. But, it’s not just about joining as there are many of us who want to even cut several audio or music pieces out from the complete file. That’s another fun since the splitters or cutters help can create custom-made ringtones or simply a sound clip for fun. So we went hunting for the free programs that would help you merge audio files and even split tracks. Therefore, in the searching process, we found several tools that could help you achieve the cutting/splitting and merging process effectively for free. There are tons of such tools all over the internet, however, we have chosen the best MP3 splitter and joiner for you, so go through them and make your choice. As a music admirer, you might want to trim a music file or simply remove it in order to have an enhanced experience or make some extra space. On top of that, you can enjoy your tracks even more by customizing the files. Hence, you need a software that can help you split tracks by time. 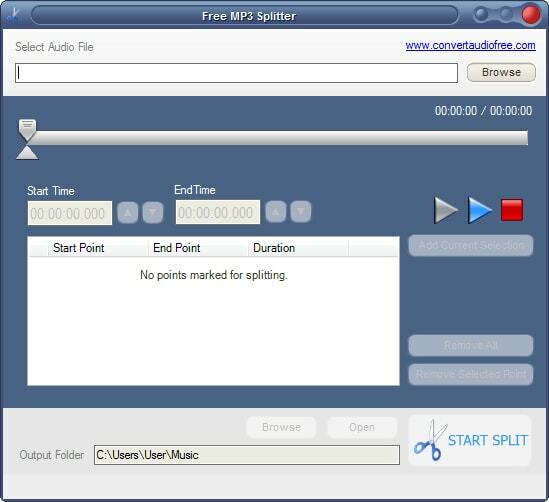 MP3 being the most popular audio file format, Free MP3 Splitter is just the right tool for you. This tool is light weight, comes with plenty of features and works superfast. Free MP3 Splitter comes with a straightforward interface that’s easy to download. It gets installed in no time and requires no additional apps for the tool to work. You can simply remove the bits manually and save the files that are generated. Once split with the tool you can still enjoy the same quality of the audio files. The entire Splitting process is a cakewalk and is completed in just a few clicks. If you want a tool that can split your mp3 files, FLAX and ogg vorbis in minutes, mp3splt can be the best choice for you. It is an open source and multi-platform command line application that comes with state-of-the-art features. Once downloaded you can then see the GUI of mp3splt (gtk version) and from here you can adjust splitpoints at fixed intervals. You will also be able to cut the original MP3 files into equal pieces, pull out the original tracks from the whole of the MP3Wrap-integrated music album and also play the track to be able to view the sections that you want to trim. Now that’s hell lot of a thing that you can do with this tool without even needing to decode. Got stuck with a large mp3 file? Well, then you can certainly seek assistance from the WavePad Audio File Splitter that helps you to split large audio files with mp3, wav and other extensions for free. The split is based on the length of the file or silence detection, super quick to download and can be used within minutes of the download. You can split audio files into a fixed time frame or into fixed number. The best part is that WavePad can identify the set amount of silence effortlessly and cut the files at these points. Even better if your mp3 file has multiple tracks, you can easily split into separate tracks. It comes with a very easy to use interface, helps you split files in no time and create the file size you want. Cool MP3 Splitter and Joiner with fade in and fade out effects helps you to cut up an MP3 or a WAV track into small individual pieces that are extremely handy. The sound quality in the meantime remains the same as the original files. Once you have split the tracks, you can then convert them to either of the file formats. You can apply one of the three methods to split the files such as split by section, time and size. Any of the methods you try is very beneficial when it’s about cutting your audio files. If you have a concert recording you can even split the live song into individual pieces. The Multi-Thread split technology, on the other hand, helps you split files with the best possible performance. While testing, the tool worked fantastically with the Windows XP. It comes with a simple interface that’s easy to understand easy to navigate. 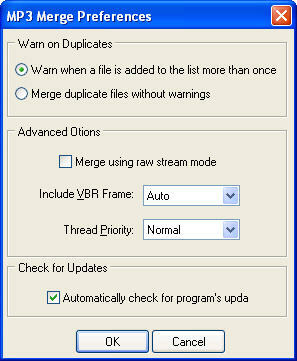 You can launch the program for four times after which you need to register the utility. 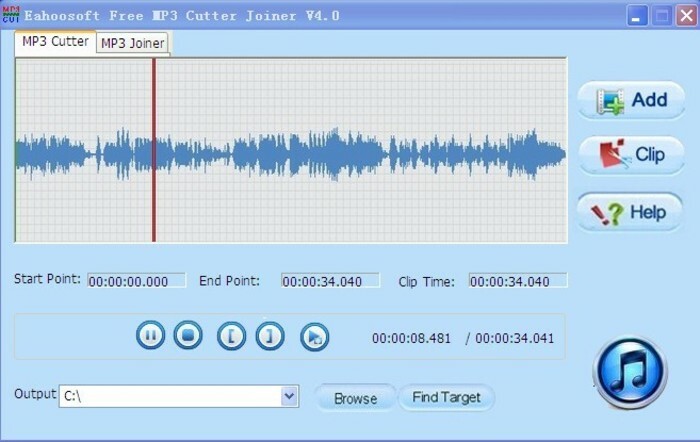 Free MP3 Cutter and Joiner is a simple cutting and joining software utility that enables you to join audio files effortlessly. A special mention goes to the compact layout and the visual display that are pleasant in appearance and beneficial. The only downside here is that it does not support a lot of formats. We must also appreciate the high-quality results posts the split, as all the MP3 files created with this tool maintains the same audio performance as the original track. On top of that creating files is really swift as it takes not even 30 seconds for most of the MP3 tracks to create. As mentioned earlier, the Free MP3 Cutter and Joiner boasts a straightforward and well-organized with a delightful design. The interface has only as many objects so it’s for even the new users to toggle through for the first time. If you find yourself lost, just reach out for the help button and it will guide you through the tool with detailed information that is fun. It also features an email address for further support. 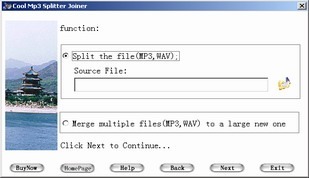 One of the simplest tools, Shuang’s Audio Joiner helps you merge your audio files for free. If you like using GUI programs or a not very tech savvy, in both situations this tool can be excellent for you. It is compatible with the most popular audio formats, viz. MP3, WVA and WMA so, you can join files with any of these extensions and export the merged file in your preferred format. It is a small sized and appealing application that works great on your Windows PC. With its easy to use interface, you can even re-arrange the files conveniently. Good news is that there are no configuration options that make it easier for he amateurs and the joining process also barely takes time. Split any audio track effortlessly with MP3Cut that comes with a super easy and stylish looking mp3 player. If you are not that familiar with how to cut the file at the exact splitpoint, you can simply move the sliders placed on both ends of the player according to the portion you want to trim. It is one of the most uncomplicated programs that allow you to cut any audio file online. The entire process takes place in just three simple steps viz. open the file, select the part of the audio you want to trim and save the file in the computer hard drive. If you frequently experience sudden breaks in your CD, especially if it’s a music concert copy or a comedy show recording, it can be really frustrating. In this case, you need a program like Merge MP3that helps you to merge all MP3 tracks into one large MP3 file and enjoy the music till the end, without a break. Though the audio quality can be a bit staggering for the experts as you can notice a slight bounce at the merge point, it does a fair job for the novice. The fact that Merge MP3 is a portable tool and requires no installation makes it sought after. So, you can simply download the program, export it to your thumb drive and you will be able to join MP3 files in conjunction on any PC with Windows OS. After the editing process, once you click on the “Publish Movie” option, the extract is saved as .wma file. However, if you do not like the WMA extension, you can convert the file to MP3 with a converter like, MediaConverter or any other option. The interface is simple and easy to use, and there is no limit to audio files that you can join. A compact program that barely takes any space and that gets installed in a jiffy is undoubtedly Media MP3 Joiner. 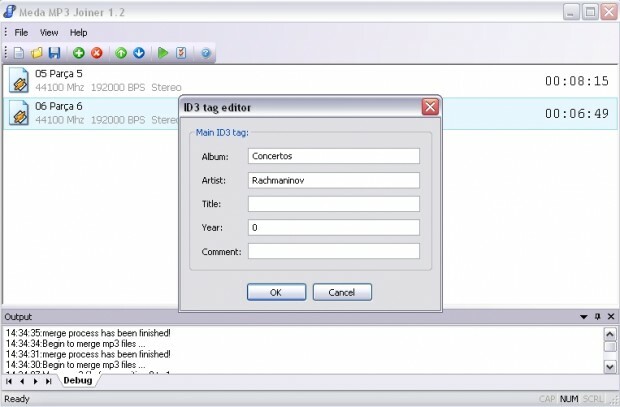 This tool helps you to merge two or more MP3 files into one. So, if you wish to listen to a long list of your favorite songs uninterrupted in a single large MP3 file, this tool can be then handy to you to create one file instead of making individual tracks. The application is pretty simple, easy to understand and user-friendly. Simply add the audio file by clicking on the “plus” sign, click the arrows up and down to shift the arrangement of the tracks, and then just hit the play button to start merging the selected files. Once done, open the merged file and you can enjoy the music. Do you have several MP3 tracks that are causing you a concern or you want to create individual clippings? 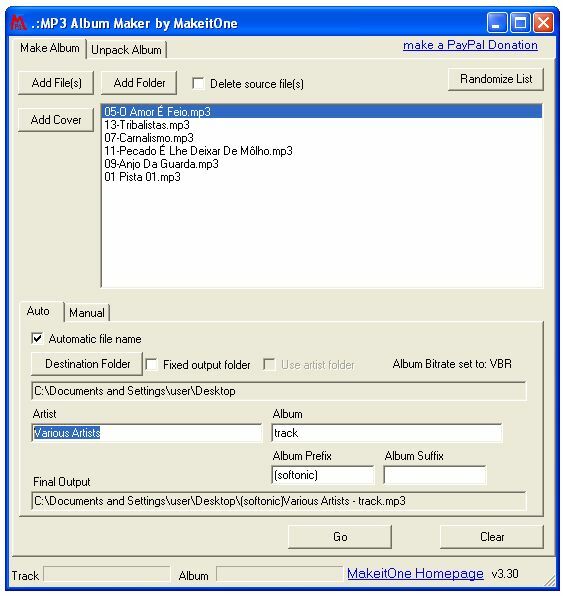 Merge them into one album or split them into separate files using MakeitOne MP3 Album Maker. This tool does not have a limit on the songs that it can take hence; you can take several files at a time and join them into one MP3 track. You can also add the artist name, track title and also the album cover art from the application itself. You can simply drag-and-drop the files on the interface and experience an amazingly fast process. As we mentioned previously, you can also split MP3 files into individual tracks and enjoy each song separately. As soon as you open the file with MakeitOne MP3 Album Maker, your audio file is automatically split by the application and names them accordingly. While the process is as fast joining files, the output is amazing as well. Looking for a program that’s easy to use and split and merge MP3 and WAV files effortlessly? Then, Visual MP3 Splitter and Joiner is the right solution for you. It allows you to break a huge audio file without losing its quality and recompressing. The best part is that you do not need to input the start and the end time manually for splitting. You can simply select the part that you want to trim suing the mouse, simply scroll or zoom to find the desired sound portion. For cutting blocks of song section, you can use the built-in player and then shift the borders to trim them by 0.1 to 0.01 seconds. Visual MP3 Splitter and Joiner supports MP3 and WAV and merge several tracks of these extensions. In order to join the files, you simply need to select the desired tracks, arrange them by the ID3 tags or the info of the songs and hit F5. The application collaborates with the files directly and the final output (the song) is created in seconds. Listen to the songs in advance using the built-in-player, before merging. Power MP3 Cutter and Joiner is indeed a powerful tool that helps you split and merge MP3 audio files effortlessly. 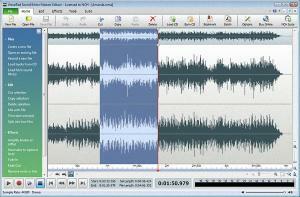 It is easy to use MP3 editor and creates one software with the audio splitter and merger. Apart from MP3 it also supports many other file formats like WAV, OGG and WMA. In addition to the ability to join several tracks into one huge audio track, you can also cut a specific portion of the song with this tool and the easily convert it to any of the supported file extensions ensuring the same quality as the original file and with high precision. While it saves your disk space by joining individual pieces, it also assists you by visually displaying the time you want to trim with the help of the slide bar. Wait! There is an additional perk that Power MP3 Cutter and Joiner comes with and that’s the feature that allows you to edit the resultant file name. Nothing can be of as high level as MP3 Cutter and Joiner that helps break and merge MP3 and WAV files in no time. You will be even happy to find that it gets installed really fast (not more than a few seconds) and you see it on your desktop in a flash. The main interface has two separate tabs, each for cutting and joining. In order to split large audio files, you need to select the desired file and the destination folder from the splitting tab along with the choice whether you want to split by time or space. You can drop files into the list on the joining tab and combine them into one file in the specified folder. While the output and the performance is simply excellent the time taken is also very less. There is no skip or bounce in the created file either during the beginning or the end. The interface may look very basic, but considering the outstanding performance that aspect can be easily overlooked. Free MP3 Cutter is the most basic MP3 splitter program of all and hence, it offers no additional features except cutting your file. So, if you feel that a song is too long and you simply cannot take that length, use this tool to trim off any irrelevant portions of the MP3 file. Also, you may find the interface design extremely basic, but that on the brighter side means that it is uncluttered and simple enough for you to find what you are looking for. Free MP3 Cutter is a plain simple MP3 splitter that allows you to select the start and the end point of the song file and then removes the rest of it maintaining the original file. However, it doesn’t let you save your file in any other format except MP3. This is not a professional audio editor hence; it won’t offer you any additional effects or let you change anything else of the track that you already split. Overall, it does exactly what it is meant for that is, cut the desired portion of the song. Wondershare Filmora is actually a non-aligned video editor and is one of the best in its category with its video editing capabilities. However, what many of us do not know is that it is also equally efficient in editing audio files. It is also an audio editing application that helps you edit your requested audio files with equal precision. Apart from creating a voice over & adding background score, editing speed, converting audio files, etc. you can also split and merge audio files especially your MP3 tracks. What’s outstanding about Wondershare Filmora is that it’s compatibility with most of the audio formats and also the fact that it helps edit any type of video and audio files.